First, HAPPY BELATED EASTER!! We love the Easter Holiday and all that it stands for. He is RISEN! What a wonderful gift we have in Christ’s death and resurrection! It has been a busy few weeks here at the Cull residence with the Easter holiday and school activities. We generally stay off the internet on the weekends and we had a lot of family events on Easter, so we did not post that day. We have a lot of excitement in the future and I cannot wait to share more design posts! But this week we wanted to take a step back and share one of our favorite cookbooks – and one of our favorite companies – with you. One thing you may note if you ever visit us is that while we tend to have a somewhat organized, somewhat cleanish house most of the time, that comes at a cost. And often that cost has to do with what we eat during the week. I would rather keep the house clean than cook. We lived without a kitchen for a full year while we were renovating our house and we got somewhat creative with cooking techniques. Most of that creativity involved the drive-thru at Pollo Tropical and Chick-Fil-A, but we also got a little handy with the microwave and the electric skillet. You would be surprised at how quickly you adapt to not having a kitchen. Now that our renovation is complete, we have been trying our hand at using actual full-size kitchen appliances. This is a definite step up for us, but it has come with a somewhat steep learning curve. 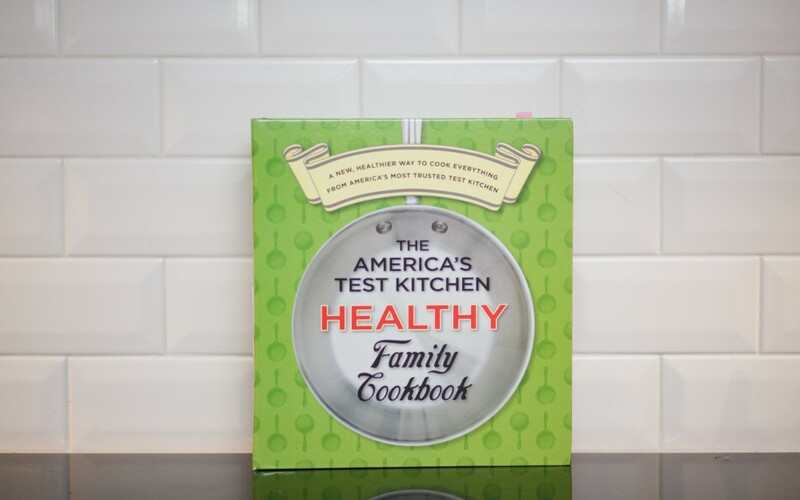 And while we have a few ways of limiting our time in the kitchen and ensuring good food for the rest of the week (okay, okay, I cook in bulk on Mondays), one of the best resources we have found for cooking is America’s Test Kitchen. 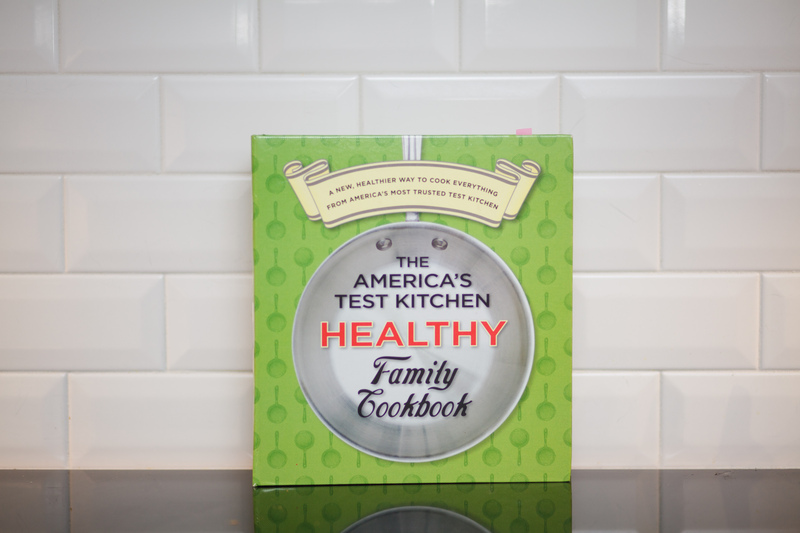 America’s Test Kitchen, or ATK, is a test kitchen located in Boston that tests recipes multiple times until they find the ideal ingredients and cooking technique. They have an amazing website, a cooking show on NPR, and a few different cooking magazines (as well as other resources I imagine I am forgetting right now). 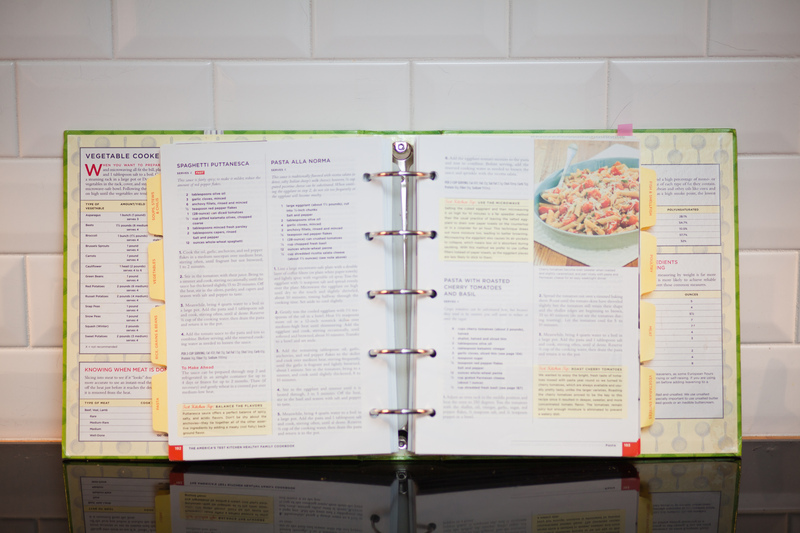 They offer a plethora of cookbooks, but one of our favorites is The Healthy Family Cookbook. This cookbook has amazing healthy recipes that have been tasted tested and approved. There are many options for any meal of the day, including dessert. One amazing aspect of the test kitchen is that they have high standards for nutrition and flavor. They will not include recipes if they do not pass the taste test or if they cannot make them healthier, so while you will find a recipe for Chocolate Chip Cookies (See my version: Browned Butter Chocolate Chip Cookies), there is no recipe for sugar cookies. This cookbook is not an extreme diet cookbook – it is a collection of recipes that are healthier and taste better than most. So if you do not already follow America’s Test Kitchen, you should start today. Sign up for a trial subscription to the website to see what they offer. You will not regret it!